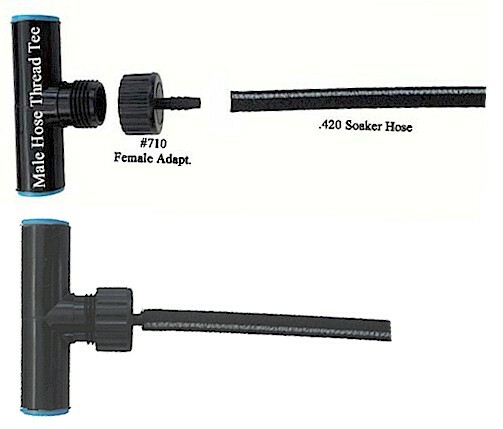 Use to connect .420 soaker hose to a faucet or any male garden hose threads, such as a garden hose, filter, regulator or back flow. Female hose end swivels, washer included. 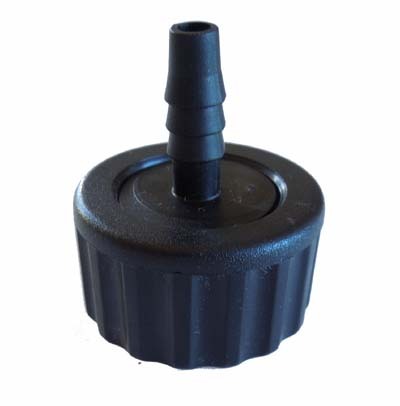 You can also use male hose thread tees, inline on your mainline tubing, then use this fitting to add the soaker hose to that line. See image below.